Freeloader Fly II - ? sp. 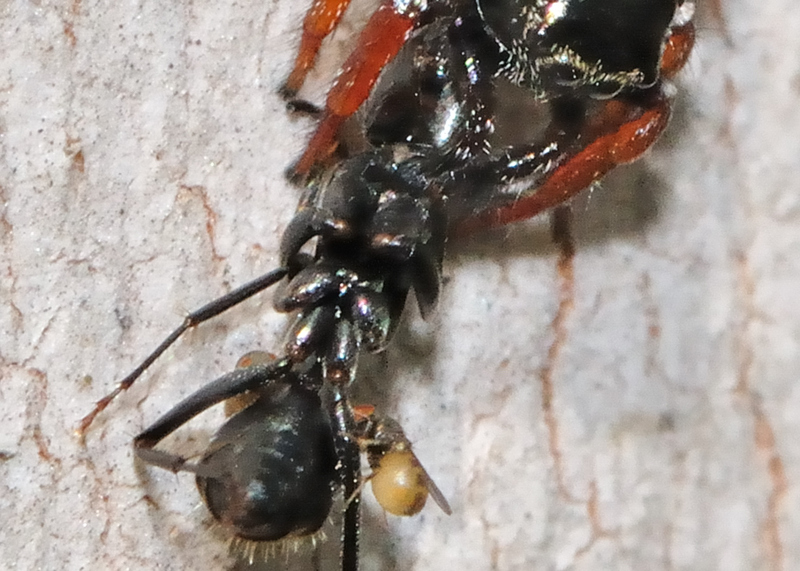 This page contains pictures and information about Freeloader Flies that we found in the Brisbane area, Queensland, Australia. Species in family Milichiidae and Chloropidae can be found gathering around feeding spider or some other predator insects in order to feed on their prey. This fly looks similar to the Freeloader Fly I except its has the pale colour abdomen.